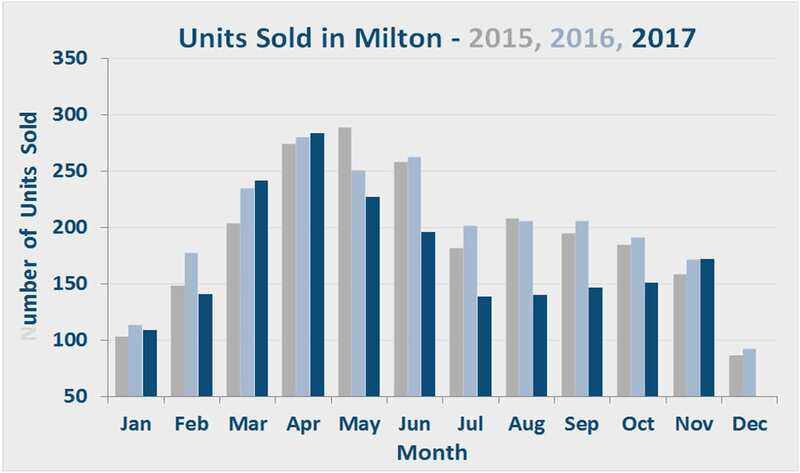 Milton’s 172 residential sales in November 2017 represent the same number of sales we experienced just a year ago. More importantly though, they represent a 13.9% increase over the volume for October 2017, a very unusual stat for this time of the year. Historically speaking, volume typically goes down (and quite significantly) after September until it starts to recover again in February. The average price of $654,900 is up 2.3% when compared to the $640,200 we recorded in November 2016. With the incoming mortgage “stress tests” January 1st (as discussed in our previous issue), many buyers appear to be scrambling to purchase properties before the deadline. News publications have estimated that in the new year roughly 50,000 prospective buyers in the GTA will not be able to qualify for the new mortgages they need. 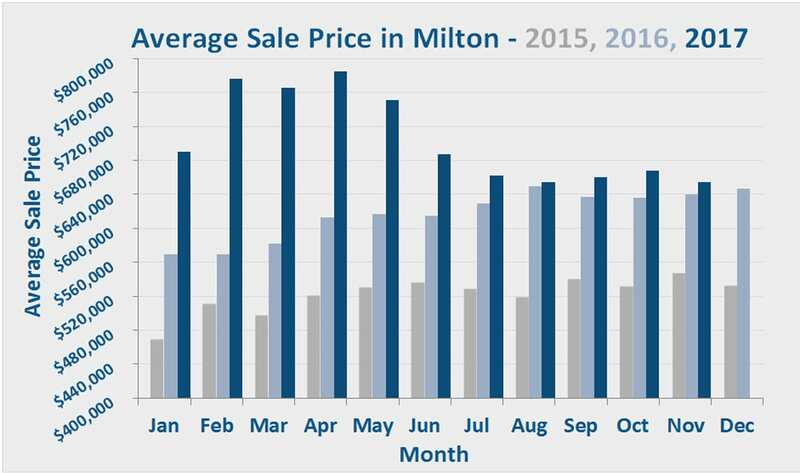 Luckily for existing buyers, inventory in Milton is currently at a healthy level and buyers don’t have to settle or succumb to the fear of missing out. We have also come across a few mortgage brokers offering to lock in pre-approvals before Jan 1st that will be valid for up to 120 days for buyers who aren’t quite ready yet so that can be an option for some as well. If you have any other questions about how the stress test might impact you (or the market), don’t hesitate to give us a call. We’re never too busy to chat!